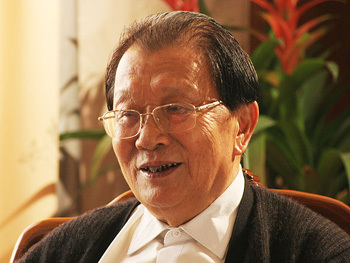 Born on November 17, 1928, Wu Renbao has been a CPC member since October 1954. The senior economic engineer was the former secretary of the CPC Jiangyin County Committee and secretary of the CPC Huaxi Village Committee. Now he serves as a permanent member of the Jiangsu Provincial Committee of the Chinese People’s Political Consultative Conference, president of the National Research Institute of Well-Off Villages, vice president of China Association for Poverty Alleviation and Development, deputy board chairman and deputy general manager of Huaxi Group and director of the Joint Office of the CPC Huaxi Village Committee, Huaxi Village Committee and the corporate group. Wu has been a socialist throughout his 50-year career. Committed to achieving common prosperity and devoted to serving the people wholeheartedly, he blazed a successful and distinctive trail for Huaxi Village through his innovative efforts. Recently, he proposed a new vision for development featuring mutual assistance between villages and between households, the sound development of CPC village branches and the final realization of national prosperity. Wu is an honest village leader with strict self-discipline. "Even if you possess tons of gold, you eat no more than three meals a day; even if you own a super-luxurious home, you take no more than one bed when sleeping," goes his humorous motto. He gave all the award money he received in recent years, over 50 million yuan ($6.2 million), to the village. While all the other village dwellers moved into new villas, Wu chooses to stay in his simple, old house built in the 1970s. Wu was honored as a "National Model Worker" and "Outstanding CPC Member" of Jiangsu province. He also gained recognition for his managerial flair, integrity and contributions to poverty alleviation and township enterprise development.